Does it sometimes feel that you have no support? Do you wish that the people in your life would change the way they act? How about your boss... Do you feel that they are never happy with what you are doing? Do you feel that you are struggling with past experiences and you keep ruminating about them? Are you struggling with anxiety and depression? Not sleeping or feeling behind? Therapy can help you free yourself from past pains and shift your thinking to gain a positive life outlook and confidence. Our individual therapy in Wayne, PA will help you learn how to love people exactly how they are without the need for fixing or saving. You will learn how to resolve your problems on your own terms and regain your power and control. We are here to provide you with a non-judgmental safe environment to deeply connect and collaboratively co-create practical solutions to what you are struggling with. 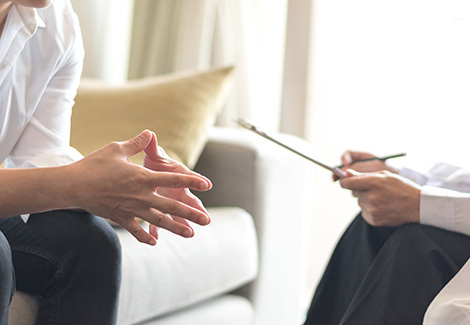 The goal of our marriage counseling, couple’s therapy or individual therapy is to provide you with the deepest level of relationship counseling so you can feel care and compassion that allows you to effectively overcome your trauma, depression, and anxiety. Some clients may only need one or two sessions. 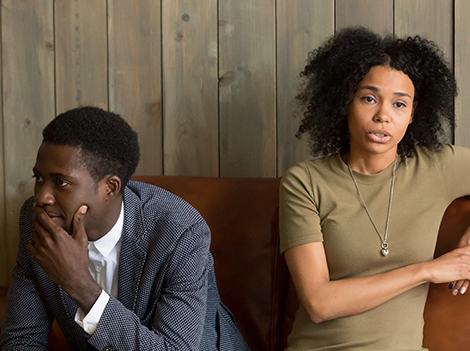 They are being proactive or taking preventative measures to avoid future issues in their personal or professional relationships. Some clients may need to attend a session or two to decide if a regular on-going therapy is needed. You have recognized that you need one-on-one attention from a therapist who understands what you are going through. You want to create and keep healthy relationships in your life and explore why you find yourself stuck. We are a call away- schedule an appointment and talk with us. Whether you are married, about to get married, co-parenting or getting a divorce, you need peace in the relationship. We help you stay focused on the goal, and we require that both partners attend therapy and be invested in the transformational therapy and treatment journey. The entire family is tired of conflicts and arguments, and you all want resolutions. We work with the entire family on communication skills, connection, and conflict resolutions. Each family member will get a chance to address their concerns and receive the attention they deserve. Your family will transform and will change for good. Join our therapy groups to receive the support from individuals dealing with similar issues. Parenting, divorce, women empowerment, bereavement and teens groups are examples of group therapy we conduct to facilitate empathy and understanding among the group members. We love setting workshops! ScreamFree parenting groups, empowerment, cultural sensitivity are to name a few of the workshops we enjoy offering to the broader community to promote education and well being. We have participated with a variety of speaking engagements including but not limited to parenting, cultural diversity, living a successful life after migrating, single parenting, the importance of mental health, women empowerment, self-care and compassion, and marriage. We are available for speaking engagements nationwide and internationally. We mentor and coach people including new therapists under training or mentoring people through achieving their life goals. We provide online therapy via a secure platform where you can have the same services we offer at our office while you are at home or at your location. If you are unable to come to the office physically, we will provide the same services for you in the comfortable environment of your own home.